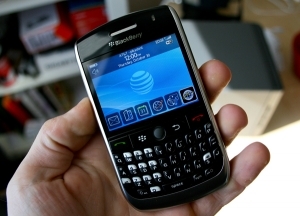 BlackBerry Curve 8900 (Javelin) Reviewed | BlackBerry Blast! The BlackBerry Curve 8900 Javelin isn't even out yet but that hasn't stopped Gizmodo from getting their hands on it. They seem very impressed with the updated Curve. "It's a Bolder version of the current Curve that improves it in basically every way: Lighter, tighter, but more powerful—and it feels like a phone that was produced in 2008, not when you were still keeping your 2006 resolutions." Check out the full review for loads of pictures and a lot more information.